Sarah, nine years old, getting ready for her day one of her clinical trial (2016). Should your child participate in a clinical study?We understand that parents and caregivers have many questions when they are considering enrolling a child in a clinical study, and that children and adolescents also want to know what they will go through. The NIH remains committed to ensuring that families trying to decide whether to enroll their child in a clinical study get all the information they need to feel comfortable and make informed decisions. The safety of children remains the utmost priority for all NIH research studies. The following resources provide information on why clinical studies are important, how children might benefit from participation, and what you should think about before, during, and after joining a study. Click Here For Resources. (WSJ) -- "Whether you have a life-threatening cancer, a chronic disease like diabetes, or a relatively minor medical problem, thousands of clinical trials are out there looking to recruit subjects. For patients, participating in a clinical trial can offer hope when existing medical treatments fail, as well as access to promising new treatments and an extra measure of medical attention. Participation can also help advance medical science; in addition to testing the newest drugs in the research pipeline, trials also recruit patients to find better diagnostic tests or procedures and better ways to screen for and prevent disease. For patients suffering with chronic or terminal conditions, supportive-care trials look to explore ways to improve comfort and quality of life." 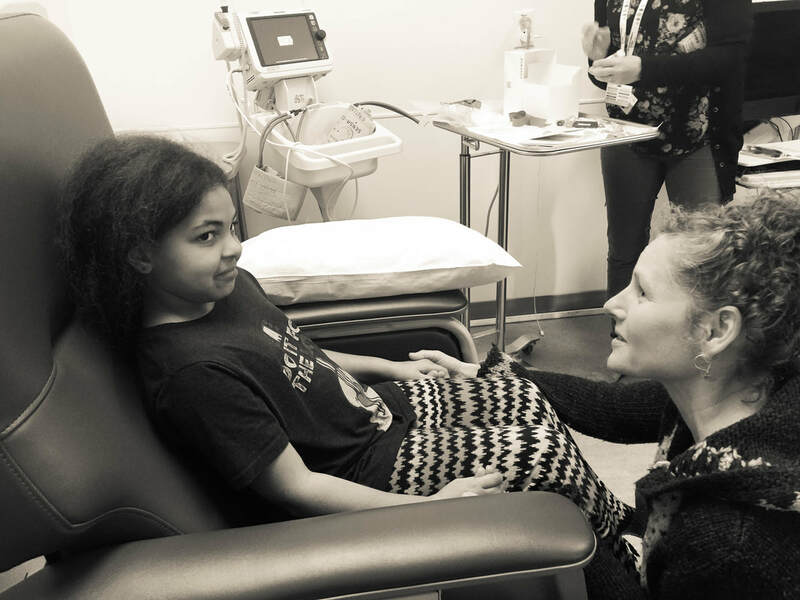 In 2016 my oldest daughter, then 9 years old, entered a pediatric clinical dosing trial through the research department at UCSF. At the time, and still today, there were no pediatric treatments approved and effective for the particular viral strain of the illness my daughter had. Right now in the USA there are at the very least there are 23,000 children ages 0-18 years who have some version of this illness - that is basically the equivalent of one of every five people in Berkeley, California - suffering from a virus that can cause cancer and lead to liver failure. Most researchers believe the number to be closer to 50,000 children in the USA who suffer from this illness. Globally, the number of children who have this illness is in the hundreds of thousands. Yet the disease is still considered a rare pediatric disease - it is not a priority in terms of research nor policy. And the treatments effective for adults - untested on children. Doctors reassured me that liver transplant was a viable option, if, liver failure occurred. It was also clear that the liver inflammation was encroaching on my daughter's enjoyment and experience of childhood. I decided to find a clinical trial rather than wait for one of those outcomes. I ran lit reviews in pubmed, ran weekly searches on clinicaltrials.gov, called and spoke with VPs of research at the biopharma companies working on relevant drugs, studied disease process through online classes at MIT, called or met with the leading clinical researchers for her disease, and made accessing a clinical trial a priority for our family. So much so, we decided not to move out of the area so that we would be 'ready' and accessible for trial opportunities. For the two years prior I sent the research team short emails and photographs about my daughter and our family - her joys, her hopes, and the small moments of living that were jeopardized by the illness- my goal was to keep the human face on the patient and diagnosis. Putting your nine year old daughter into a clinical trial for a drug that has never been tested on kids before requires deep soul searching. And solace. And the illusion that *it* will all work out fine. 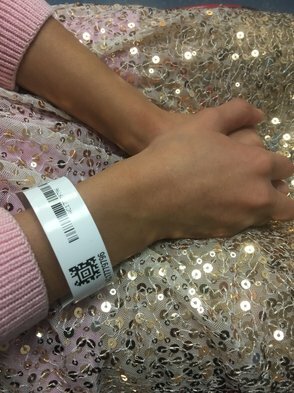 I worked in hospitals and clinics- and part of my goal as a caregiver was keep my daughter from being a "DOB" and a "diagnosis". I also wanted to do the same for our providers - and my kids and I designed tools (www.gratitool.com) to invoke the human relationship between healers and patients. Being mindful and invoking whimsy while sitting with the gravitas of the situation of childhood illness is a balancing act. Especially, when the condition that drug treats is life-threatening. Two-hundred kids worldwide tested the drug my daughter was given; twenty here on the West Coast of the United States. 90% of the adults who took the drug in early clinical trials were cured. Cured of the fatigue and pain that my child experienced- and so I gambled. No one knows what the long term outcomes of the treatment are. But it clear what happens if the illness is not treated. Next month we start a five year research study to monitor the impacts of the drug my daughter received in the clinical trial in 2016. 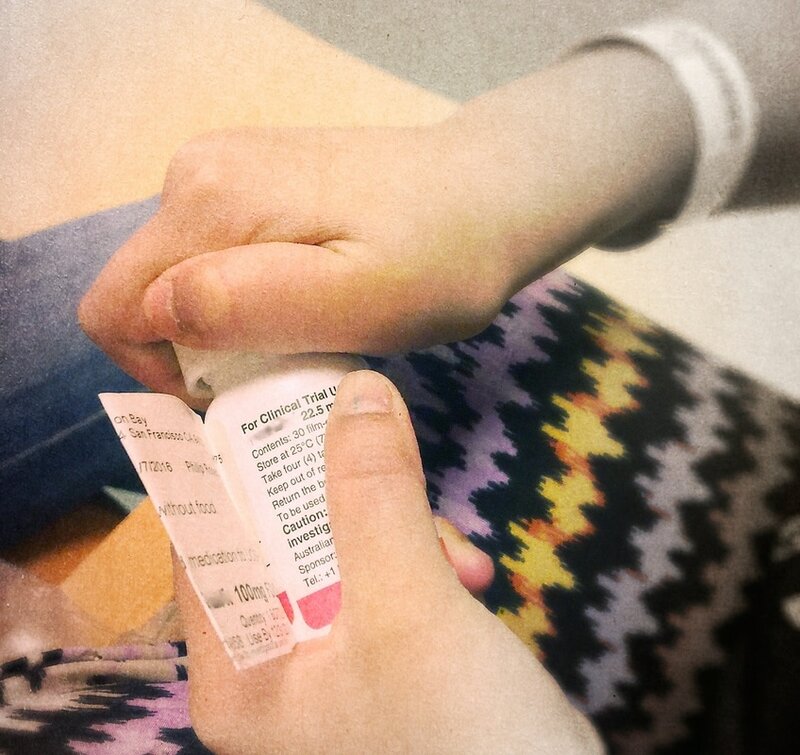 A drug that has eradicated the virus that was destroying her liver and threatened her future. No one knows what, if any, deleterious side effects that drug will have; will it affect growth, her fertility, etc. ? And we know it has not eradicated her elevated risk of liver cancer, but... we do know that she is healthy right now and that, for the first time in years, her liver levels are normal. So What Happens When No One is Quite Sure What is Making Your Kid Ill? So, the clinical trial was super hard - and just as that wrapped up we found out that my other daughter was sick with a Periodic Systemic AutoInflammatory Disease (you can read about those illnesses here) and a few other illnesses - and while she currently has a series of diagnoses suspected to be linked to genetic differences - the reality is - no one is quite sure what the final diagnosis or prognosis will be. And this not-knowing but having to cope- happens a lot! What we do know is that there are over 20 medical providers who need to be coordinated and communicated with - and that has fallen, as it does for so many families, onto the shoulders of familial caregivers and her PCP. Again, I am not sure what I would have done had I not worked in healthcare. I knew where to go get toolkits and information. Below is a resource for families navigating the system without a firm diagnosis.